With v3.5, users can create any kind of response through Assistant and display it using text, suggestion chips, cards, lists, carousels, or links. In the video below, you can see an answer that pulls up a list of Play Music artists with images for example. AutoVoice supports natural language processing so you shouldn't need to remember the exact command for something to work, however you still have to invoke it by saying "talk to AutoVoice," or "ask Autovoice to," or "tell AutoVoice to." 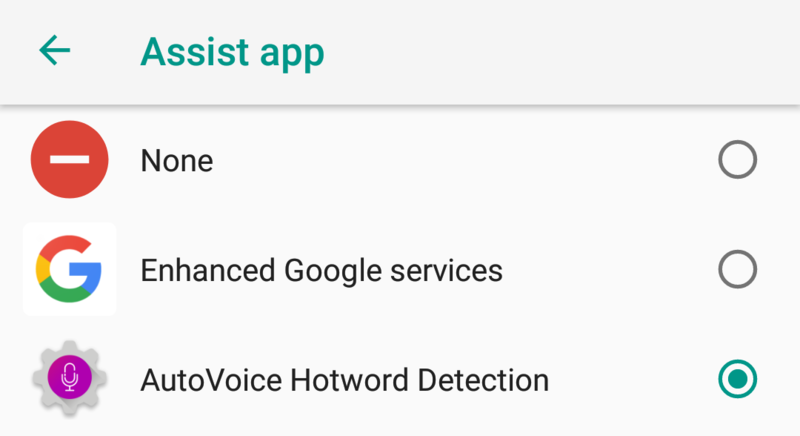 If you want to avoid that, you can set AutoVoice to be your main Assist app in Android, thus replacing Google Assistant entirely. Every time you tap and hold on the home button or say "Ok Google," you'll summon AutoVoice instead. And finally, the last change coming is a beta test of the Smart Home Skill for the Amazon Echo line where you can transform any Tasker profile into a virtual smart home device on the Echo, so you can turn it on and off, set it to a certain volume, and more. 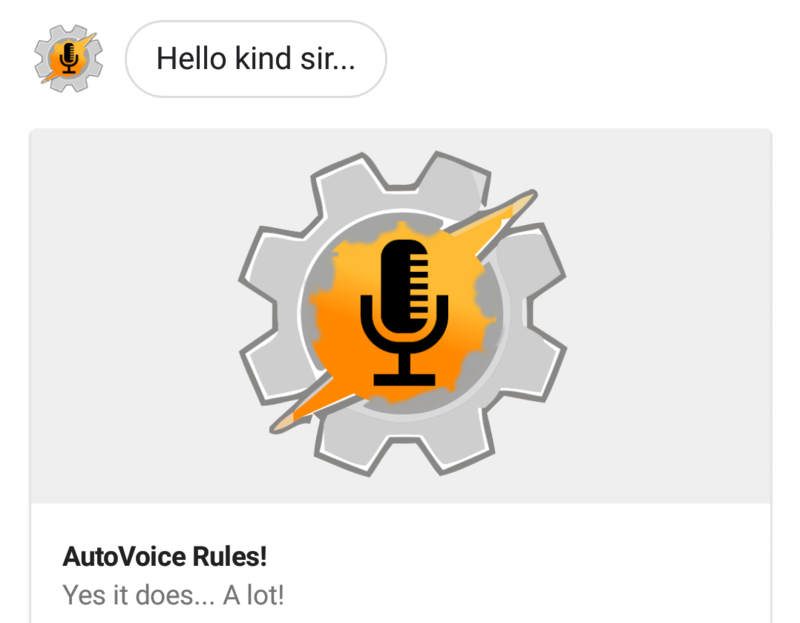 AutoVoice 3.5 is already out on the Play Store so you can give it a go there, but remember that you only get 7 days to try out everything for free, after which you need to pay $2.99 to unlock the full version. - Now works on the Google Assistant on Android! - Use AutoVoice as the real assistant on your phone, making it even respond to "Ok Google" directly! - Tasker action to dynamically change Natural Language command responses.